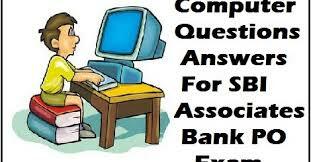 Very important questions Computer Awareness for Bank PO, IBPS, Bank Clerical And Date wise 24-08-2017 questions for bank exams, very important computer related questions for Bank PO, SBI PO, IBPSRAS, IAS, UPSC, RPSC, 1st, 2nd, 3rd Grade Teacher, REET CTET, LDC, SSC CGL, Rajasthan Police Delhi Police Related Study material And All competitive Exams and Most expected Computer Question Papers with answers.These Questions are most commonly asked in Other Banking Exam. Question. (1) How does the information travel between the motherboard’s consonants? मदरबोर्ड के कंफोनेन्ट्स के बीच इनफार्मेशन किसके माध्यम से ट्रेवल करता है? Question. (2) The main window of the computer is called? कंप्यूटर का मुख्य पटल कहलाता है? Question. (3) What is the full name of P.C? पी. सी. का पूरा नाम क्या है? Question. (4) What is the place where the accessories connect to the system unit? एक्सेसरिज जिस स्थान पर सिस्टम यूनिट से जुड़ते हैं उसे क्या कहते हैं? Question. (5) computers, is M.’s full name? कंप्यूटर में आई. बी. एम. का पूरा नाम है? Question. (6) Which port connects to special types of music devices with sound cards? विशेष प्रकार के संगीत उपकरणों को साउंड कार्डों से कौन-सा पोर्ट जोड़ता है? Question. (7) Does communicating control over the entire computer system? संपूर्ण कंप्यूटर प्रणाली के लिए संप्रेषण नियंत्रण करता है? Question. (8) What is the hardware used to read discs? डिस्क को पढ़ने के लिए प्रयोग में आने वाला हार्डवेयर है? Question. (9) What is the electronic component called thin plate or board? इलेक्ट्रॉनिक कंम्पोनेन्टवाले थिन प्लेट या बोर्ड को कहते हैं? Question. (10) Expansion card types are inserted? एक्सपैंशन कार्ड किसमे इन्सर्ट किए जाते हैं?